“The 2013 Expo was a great opportunity to visit with current clients -and answer insurance related questions for prospective buyers,” said Aviation Insurance Resource’s (AIR) Chris Wolbert, who attended the 9th annual Sebring U.S. 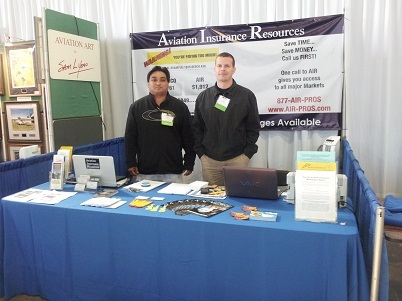 Sport Aviation Expo from January 17th to the 20th with fellow AIR employee Gregg Ellsworth. 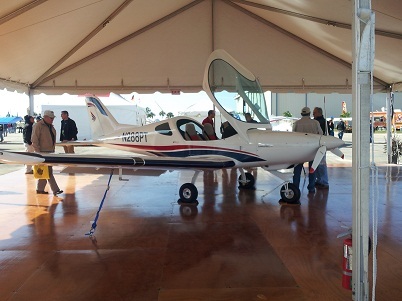 The two managed a booth (seen to the right) at the four day event, which focused on Light Sport Aircraft and the Sport Pilot Certificate, along with more than 160 other exhibitors ranging from engines and avionics to aviation accessories and other services. The 2013 Sebring U.S. 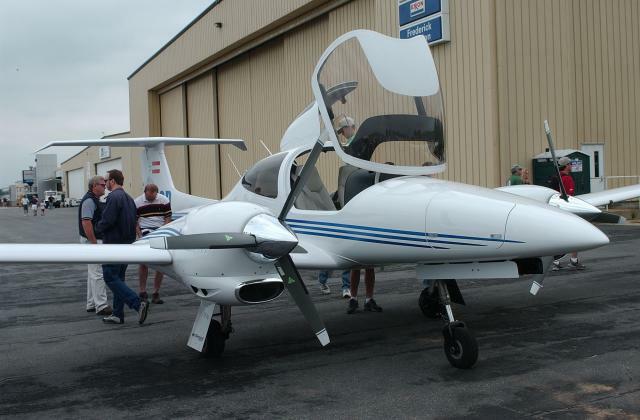 Sport Aviation Expo saw record crowds despite the less than perfect weather. 4. The aircraft has a maximum take-off weight of 1,320 lbs. Licensed in all 50 states, AIR provides a wide range of aircraft insurance options for aircraft of all shapes and sizes, from large jets to Light Sport Aircraft. AIR offers insurance on several LSA makes and models including, but not limited to: Flight Design CT , Czech Sportcruiser, Cubcrafters Carbon Cub, Evektor, Tecnam, Cessna Skycatcher 162, Bristell, and more! Plus, with regional offices around the country, we are better able to meet you manage your aviation insurance needs. 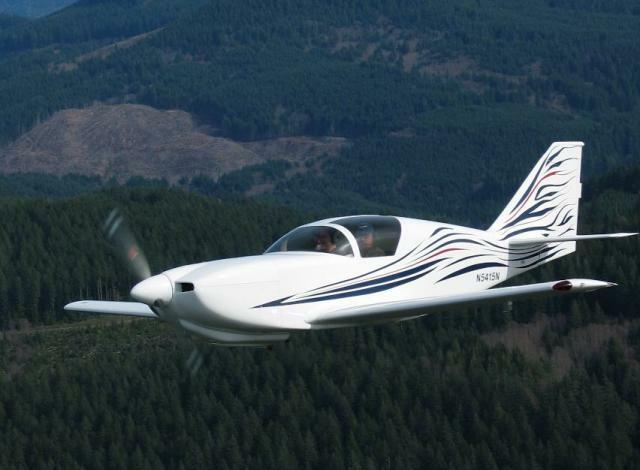 To find out more about Light Sport Aircraft Insurance, please contact Aviation Insurance Resources by calling 877-247-7767 or visit AIR-PROS.com today and receive a free Aircraft insurance quote! Did you know that when you rent or borrow an aircraft that you are probably not protected under the owner’s insurance policy? This includes your local FBO. So if there is an accident, you may be held legally responsible for damages to the aircraft, or even worse, injuries to others! Next time you are renting or borrowing a plane or helicopter, be sure to purchase non-owner aircraft liability protection. This will cover you in the event of an accident or other incident. This type of coverage will also help pay damages to others for their injuries and property damage up to the policy liability limits you have selected. At AIR, we not only provide coverage for your aircraft, but we specialize in all types of aviation insurance policies. Best of all, we are licensed in all 50 states with regional offices throughout the country, we are able to serve you better! Multi-engine & helicopter non-owner coverage is now available! Call us for a quote! To find out more about Personal Non-owned Aircraft Liability Protection or if you have any questions, please contact Aviation Insurance Resources by calling 877-247-7767 or visit AIR-PROS.com today and receive a free Aircraft insurance quote! Helicopters are some of the hardest working aircraft out there, taking part in everything from recreational flight to charters, emergency medical services (EMS), traffic and law enforcement, firefighting, cargo hauling, and so much more. Because of this, you need an insurance policy designed to cover your unique needs as a helicopter owner / pilot. 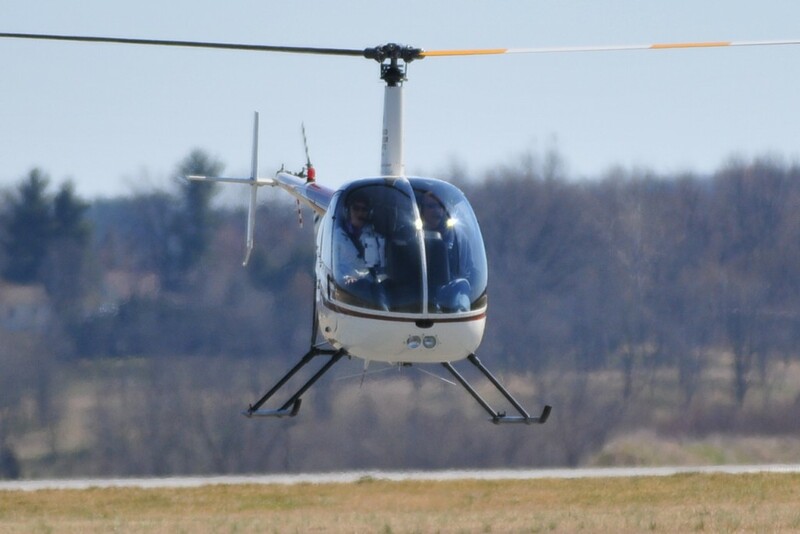 It doesn’t matter what type of helicopter you fly – whether it is a Robinson R22, Europcopter AS350, Bell 206, Sikorsky, or homebuilt and experimental helicopter, such as a Rotorway – or why you fly- whether it is for work or for fun – you need Helicopter Insurance. And you need Aviation Insurance Resources (AIR). We are licensed in all 50 states and provide a wide range of aircraft insurance options for aircraft of all shapes and sizes, from large jets to helicopters. Plus, AIR represents all of the major aviation underwriting companies to give you comprehensive options. Click Here for a FREE Helicopter Insurance Quote! Let AIR fit you with the right helicopter insurance coverage today so you will be protected tomorrow and beyond! To find out more about Helicopter Insurance or if you have any questions, please contact Aviation Insurance Resources by calling 877-247-7767 or visit AIR-PROS.com today and receive a free Aircraft insurance quote! Happy New Year from everyone here at Aviation Insurance Resources (AIR)! We plan on starting this year the same way we closed out 2012, educating you on the numerous types of aviation insurance policies available. This week, we are going to kick off 2013 by looking at Hangarkeepers Liability Insurance. Hangarkeepers liability insurance protects you from liability when an aircraft is damaged while in your care, custody or control for storage, repair, refueling or safekeeping. This type of policy covers the legal fees and damages that may result from the insured event. At AIR, we not only provide coverage for your aircraft, but we specialize in hangarkeepers liability insurance, as well. And because we are licensed in all 50 states with regional offices throughout the country, we are able to serve you better! To find out more about Hangarkeepers Liability Insurance or if you have any questions, please contact Aviation Insurance Resources by calling 877-247-7767 or visit AIR-PROS.com today and receive a free Aircraft insurance quote! Happy New Year from everyone here at AIR!